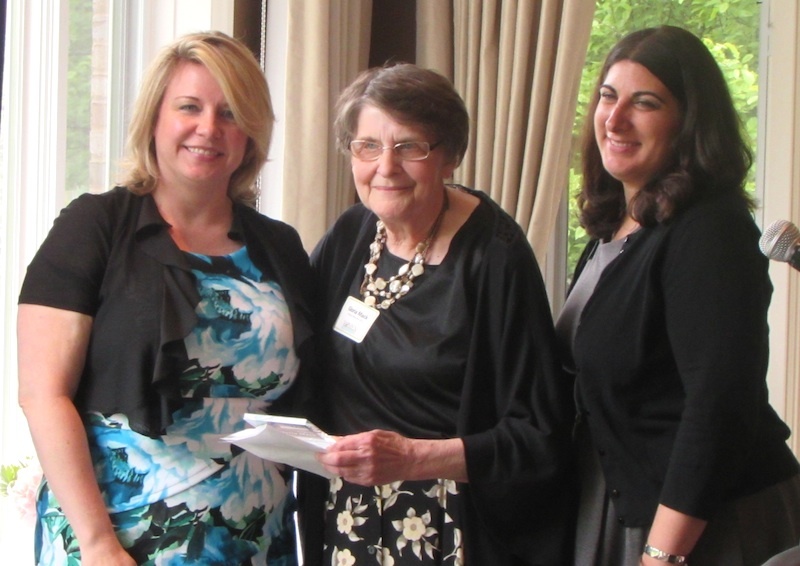 Gloria Mack, Linda Stengele and Ann Viger were among those honored at the 2016 Women of Distinction program Wednesday, May 11, at the Crystal Lake County Club. Gloria is a frequent volunteer at the McHenry County Historical Society & Museum in Union, a member of the McHenry Civil War Roundtable and part of the McHenry County Historic Preservation Commission. She also played a pivotal role in developing our county's historic preservation ordinance. Linda is another long-time student of history, restoring cemeteries and conducting research for the county and Crystal Lake historical societies. And Ann is not only extremely active at the Col. Palmer House in Crystal Lake, she is vice president of the Crystal Lake Historical Society and active in the Daughters of the American Revolution. The three were in great company at this year's celebration organized by Shaw Media.. The lineup of award winners included Robin Doeden, president and CEO of the McHenry County Community Foundation; Rabbi Maralee Gordon of the McHenry County Jewish Congregation; Susan Ling, a member of the NAMI McHenry County board of directors; Jamie Maravich, on the board of McHenry County's Big Borthers Big Sisters, United Way, Economic Development Corp. and Crystal Lake Chamber of Commerce; food pantry and Crystal Lake Chamber volunteer Kathryn Martens; Family Health Partnership Clinic volunteer director Kathy Rauch; Woodstock Planning Commissioner and Red Cross volunteer Jackie Speciale; and Centegra vice president and county EDC board member Hadley Streng. Perhaps Master of Ceremonies Jamie Maravich said it best: "If you can believe it, you can achieve it."